TOPICS: Ticketing Update | Effigy Announcement | All the Forms! 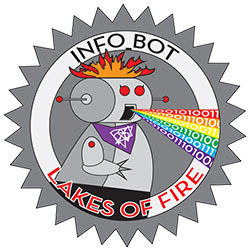 Lakes of Fire received over 3,700 registrations in time for the random drawing this year. This year, we have a population cap of 2,200, which includes withholdings for Directed Theme Camp Tickets, Art Grants and Honoraria, and other departmental needs. Tickets this year are $100, plus a service fee we pass on. 1,955 people are currently on the waitlist. People on the waitlist will receive a ticket offer after either someone declines to purchase within their ticket window (currently 7 days from offer), or someone returns a ticket they’ve purchased for a refund, or after a department relinquishes tickets reserved but not used. The next major movement of the wait list is expected March 6th, so keep an eye on your email or log in to check your number around then. If you registered before the random drawing, make sure to check online at tickets.lakesoffire.org for your current number, especially if you haven’t received an email from the Ticketing department – sometimes these messages get stuck in a Promotions or Spam folder. If you did not register before the random drawing but you’d still like to go, never fear! Simply register today at tickets.lakesoffire.org. You’ll be put at the end of the line, but we will be selling tickets up to the month of the burn itself, -possibly- including a Fire Sale. In past years, a Fire Sale was a lump of first-come first-serve tickets we make available for immediate purchase, and while we never know if it will be available in a given year, we have used it for the past three years, and anticipate using it again. If you keep an eye on the email blasts and Facebook group, you can still get a ticket! 2018 is a milestone year for Lakes of Fire as this will be our 10th anniversary. It seems appropriate that this year’s theme is Bedtime Stories as with nine years in the books, Lakes of Fire is quite a story in itself. With that in mind, the BEDdazzle team is deeply honored to have our design chosen for this year’s effigy. The effigy belongs to our community and we want to involve our community as much as possible in its assembly. In short, we want your help. So, if you have some hands and sometimes, we would love for you to join our team and help make this effigy possible. The more the merrier. No matter whether you can only participate in building for a day here in Chicago, on-site at Lucky Lake or can be there weekly and watch this idea take life, every person, every hand means so much in the process of building this structure. Please, we invite you to be a part of this year’s effigy, the BEDazzle. Email us at BEDdazzleeffigy2018@gmail.com and get involved! We start building right away. Bringing a theme camp to LoF? Maybe a huge art piece or an art car? How about that banging sound system or what about the giant fire poofers? We have some tasty forms for you to register what you’re bringing!